The Elizabeth Murdoch building is effectively the ‘front door’ of the Melbourne University’s Victorian College of the Arts (VCA) campus. It houses the main administration area, research functions and student centre, as well as the main multi-media presentation space for the VCA. Both the Dean and Head of School are located in this building.The project involved the staged refurbishment of the former police barracks, a building listed on the Victorian Heritage Register. Our brief was to incorporate all the required functional areas and equip the building appropriate for future teaching practices, as well as improving access for people with disabilities. A key challenge involved the incorporation of the new IT infrastructure. Our efficient planning strategy enabled the Finance Department to be collocated with the other administrative areas, so that the post-graduate research area could be located on the top floor.Further, the VCA sought from us a design that gave them a strong sense of identity, within the historic structure, expressing the creativity and integrity of their programme. 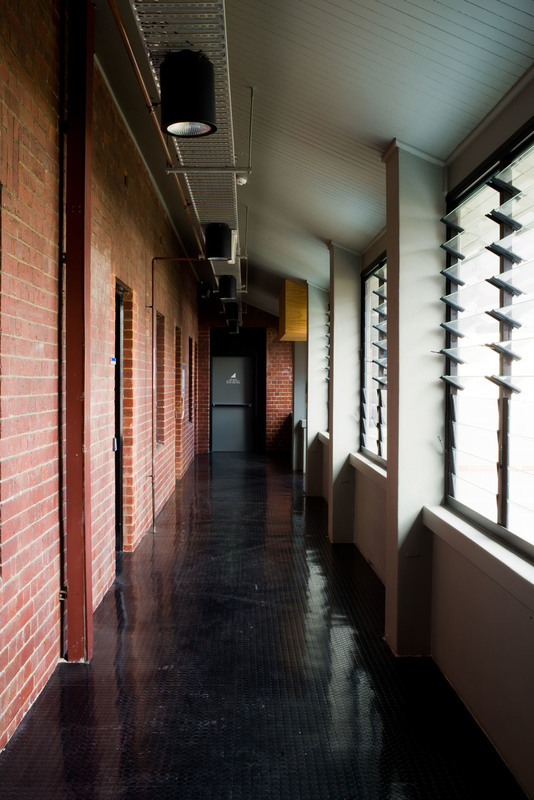 Working within a very tight budget, our design is characterised by carefully crafted materials and finishes, providing positive and energising spaces throughout, that work well with the historic fabric of the building.